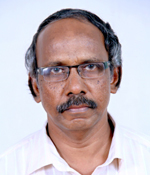 Mr. Joseph has 31 years of teaching in various institutions under Technical Education Department of Kerala Government. Besides he has 4 years experience in manufacturing and maintenance of port and dredging related equipment. He obtained his B.Tech. from College of Engineering, Trivandrum under Kerala University and M.Tech. from Cochin University of Science and Technology, Thrikkakara, Cochin. 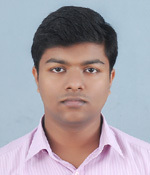 He has obtained Certificate in Computing from IGNOU and Certificate in Computer Programing from Annamali University, Tamilnadu. He has participated many International and national seminars and conferences and presented papers in two of them. 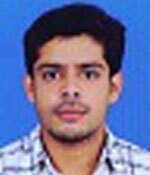 He is a member of Institution of Engineers, India and Indian Society for Technical Education. He is an active licensed Amateur Radio operator (Ham Radio) since 1987. Mr.Tilson Thomas holds Master of Engineering(ME) in CAD from Anna University, Chennai, BE in Mechanical Engineering from Vishveshvaraya Technological University, Belgaum and MBA(Operations) from Cochin University. He worked with Apollo Tyres as Senior Production/Maintenance Executive for 3 years He has experience as Technical manager in INDOJAP Shipyard for 4 years He has been heading the Mechanical Dept. of SNGIST since 2014. 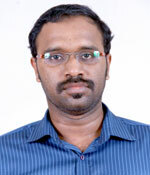 Mr. Sreejith S holds Master Degree in Manufacturing Engineering, from Anna University. 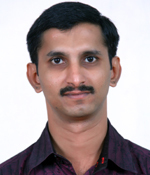 He has completed his bachelor’s Degree in Mechanical Engineering from CUSAT.He has a teaching experience ofseven years and industrial experience of four years. He has been working with SNGIST since 2012. He also holds the position of NODAL OFFICER of Innovation and Entrepreneurship Development Cell – SNGIST. Areas of Interest: Fluid Mechanics, Hydraulic Machines, Machine Design, Machine Tools. Mr.Vishnu Shaji holds Master of Engineering(ME) in Manufacturing Engineering from Anna University, Chennai and B.Tech in Mechanical Engineering from Mahatma gandhi University, Kottayam. He had 6 years of teaching and 2 years of industrial experience. His areas of interests are material science and production engineering. 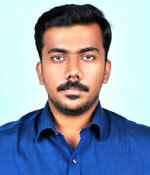 Mr. STALIN S S holds an M.Tech in MACHINE DESIGN, from Saintgits College of Engineering. He is currently pursuing Research in “Tribological Characteristics and behavior of Magneto rheological Fluids”. He has completed in bachelor’s Degree in Mechanical Engineeringand holds an additional Diploma in Mechanical Engineering. He has more than six years of teaching experience. 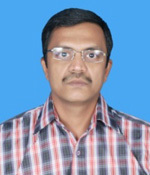 He has published three paper in reputed International journals. 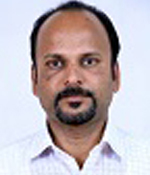 He is a MEMBER OF EDITORIAL BOARD “International Journal of Advanced Technology in Engineering and Science”. MTech in Energy Management from from Government Model Engineering College( Cochin University ) and a B Tech in Mechanical Engineering from Government Engineering College Barton Hill Trivandrum (Kerala University).He has qualified CSIR NET in Mechanical Engineering. He has attended numerous Workshops and Faculty Development Programmes. He also handles the duties Coordinator for Skill Development Programs under ASAP and PMKVY in association with state and central government. Has presented at AISHMT conference conducted at ISRO (DEC2015). He also acts as admission coordinator representing mechanical dept. 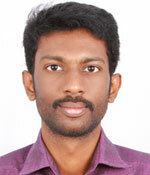 Mr. Tharun Thomas holds M.Tech Degree in Manufacturing Engineering, from Amrita University. 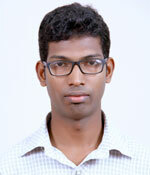 He is currently pursuing Research in “Agile Manufacturing” at Amrita University, Coimbatore. He has completed his bachelor’s Degree in Mechanical Engineering with three years of teaching experience and industrial experience of one year. 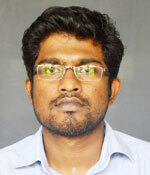 He has published two papers in International journals and presented his paper in two international conferences. 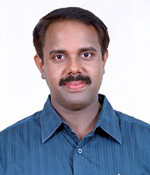 Mr.Amal P Dev holds a MTech in Computer Integrated Manufacturing from Mar Baselios Institute of Science and Technology( Mahatma Gandhi University ) and a B Tech in Automobile Engineering from KMCT College of Engineering, Mukkam, Calicut( Calicut University ). He has attended numerous Workshops and Faculty Development programmes. He has attended several international conferences and published a paper in an international journal. He has more than two years of teaching experience and one year industrial experience. 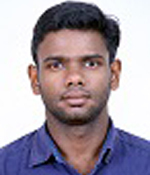 Mr.Binay T Sam holds a MTech in Energy Management from from Government Model Engineering College( Cochin University ) and a B Tech in Mechanical Engineering from Government Engineering College Thrissur ( Calicut University ).He has qualified CSIR NET in Mechanical Engineering. He handles Engineering Drawing subjects as well as problematic subjects like Thermal Engineering , Heat and Mass Transfer . He has attended numerous Workshops and Faculty Development Programmes. 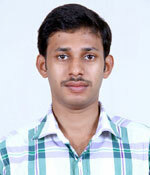 He also handles the duties of National Service Scheme Program Officer in campus. Three years experience in Advanced Conventional Lathe and Computerized Numerical Control Lathe (CNC) Machines of HMT Ltd, kalamassery. Five Years Experience as a lathe operator in Royal tex ltd,R.A.K, UAE. 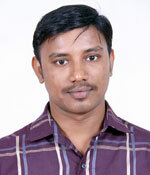 One and Half Years Experience as a Lathe & CNC operator in E.C.D.S (p) Ltd, kakkanad,kochi,kerala..